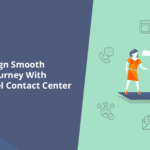 If you work in a contact center, you must be aware of customer experience challenges. How important is the customer experience for your business? Customers are more powerful than ever before and are expecting a personalized experience on channels they love and expect a quicker response. How to measure a key metric like AHT in a contact center? Should the duration be longer or shorter is a question. An agent should not be in a hurry while addressing the customer’s query. If he took a longer duration to understand the needs of the customer, he can achieve first call resolution, while delivering the best-in-class experience. AHT is not an efficiency metric, it’s an experience metric. If an agent successfully refunds a bad trip, he creates an impact on the customer and creates brand value, where he might take a longer time to understand the customer’s bad experience but will drive a loyal customer for the business. Therefore, AHT, irrespective of the time-taken should focus more on resolving queries in the first time. Is it only the customer service department that is responsible for delivering exceptional customer experience? Naman Gupta, while stressing on the need to have a CRM integrated system, explained that it is necessary for all departments to be in sync with each other. Front end and back end office often fail to maintain a connection, where a customer will lose patience till the time they reach the right department. While agents are busy attending critical calls, a smart IVR will resolve the issues that customers are raising. Naman Gupta highlighted that 80% of queries are resolved through IVR in IndiaFirst Life Insurance company which comes down to only 2% abandoned calls. Help customers help themselves with self-service IVR that answers all the Frequently Asked Questions (FAQ) in one go and agents can focus more on the calls that demand more attention. Omnichannel presence is important but do you actually turn around and respond to a customer’s feedback on these channels? If not, your brand value is in danger. Customers these days tend to be more socially active and you know how social media works. If one bad review is not addressed with care then you will lose the battle. Largely neglected but the most important people who directly deliver on customer’s expectations are the agents in your contact center. They are the responsible hands behind retention journey of a customer. Providing them with the right tools like Unified Agent Desktop helps them handle multiple channels in a single screen. With ‘No Interaction Silos’ and ‘No Department Silos’, Sachin Bhatia goes on to explain how we should cater to ‘Agent Experience’. Delighting your agents is as important to your business as your customers are, happy agents will get you, happy customers, so you should know how to increase their flexibility and increase productivity. Connect: Being available 24/7 has become the basic necessity. Do you work across geographies? Your customer support should be able to connect with customers whenever they want. The online presence has lead to increased the after office hours queries, providing ease of access to information round the clock engages customers in self-service and hence the queries are resolved easily. Simplify Process: Customers do not like delayed services. A little delay in service will lead to escalation. Keep your agents informed about the progress and assure them with the updated account information. Customer portal helps customers keep a check on the status of their queries, therefore, the dependency on agents reduces. Personalized Experience: Each customer is unique and providing tailor made services for each individual will drive customer loyalty. Customers expect a real-time solution to their problem. Listening to your customers and customizing your services for them will help agents deliver a solution that meets their expectations. Customer Experience is one vertical that needs defined strategies to meet customer’s expectations. Different stages in customer’s journey should be responded to and measured proactively. Listen to the Ultimate CX webinar: Demystifying CX in BFSI with Omni-channel Contact Center to understand how smart technologies like tracking SLA, Smartly designed IVR, Auto-Call Back and working in Regional Language will help define the memorable customer experience. Click below to check the complete recording.